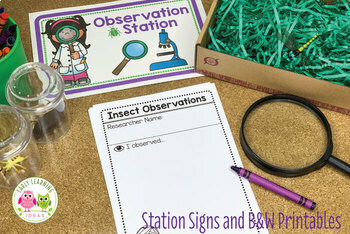 Use these ideas and printables to turn your dramatic center into an entomology lab or insects & bug research center with this set of fun printables. 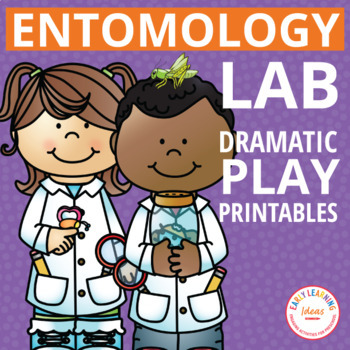 This set of dramatic play printables will provide plenty of opportunities for developmentally appropriate, play-based, and hands-on learning for you preschool and pre-k classroom. Combine science, STEM, STEAM, math, and literacy learning opportunities. This resource is perfect for an insects & bugs theme, outdoor theme, camping theme, spring theme, gardening theme unit and lesson plans. 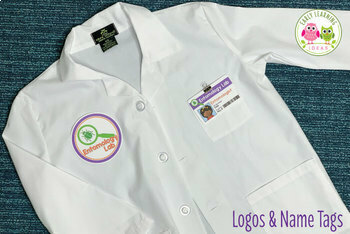 - Printable logos for uniforms, etc. 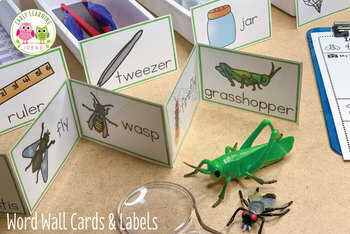 - An Entomologist printable book - introduce the term entomologist to your kids. Your students will have so much fun with this set!